Katie is a senior magazine journalism and graphic design double major hailing from barbecue country, Kansas City. Katie’s love for all things pretty has landed her some pretty neat opportunities, including designing the 2011 Drake Relays logo, creating her own iPad magazine and designing ancillary products for businesses such as Life in the Clouds, LLC and Ballet Des Moines. 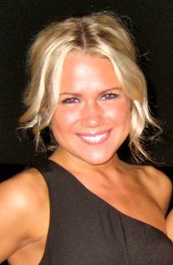 Katie has interned with the Crafts Group at Meredith Corporation since January 2012. She is currently the Art Director for the Drake University Honors Magazine. Katie will continue to put her design skills to use as a design apprentice with the Better Homes and Gardens Special Interest Publications, such as Kitchen and Bath Ideas.